Both cats and us can be happy! Most cats are not from pet shops or bleeders. They were rescued from various places. 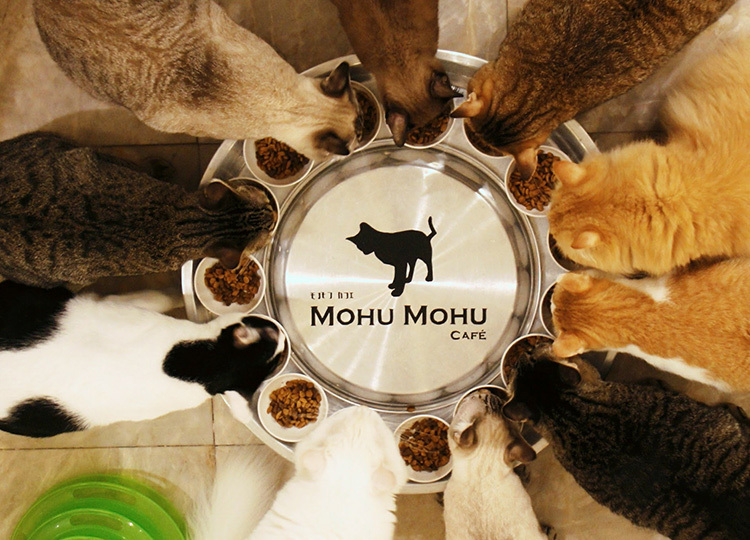 Mohu Mohu Café was born on 7th April 2015 which concept is "Both Cats and Us Can be Happy". The beginning is the owner found a kitten at an abandoned dark apartment near his previous aprtment in August 2014. And then, he decided to save the kitten. He started finding a house to have the cat and save more poor cats as opening a rescue cat cafe. Even though the cats were abandoned once, they still trust human and incredibly friendly. All cats are vaccinated and controlled parasites. So, you can play with them safely. We are going to save more cats as many as possible. Because a lot of cats are waiting for help. All we need is Your support. We hope that Mohu Mohu Café is a part of your life like visiting your friend's home. We may not save the world, but We can save cats.